In your home’s tap water, there are many other chemicals other than good old H₂O. It may sound odd, but it’s true: hard water contains minerals. Depending on your location, your water quality can vary, from heavy concentrations of minerals to low ones. The most commonly found minerals include calcium or magnesium. Over time, these minerals can cause buildup inside your pipes and on your dishes. Plus, by showering, bathing, and drinking that water, these hard minerals are interacting with your body on a daily basis. Luckily, there’s a way to remove these specific minerals, thereby “softening” your hard water. This is what a water softener does. 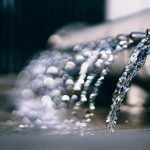 It exchanges harmful minerals for sodium, in a process known as “ion exchange.” However, because there are several water softeners on the market, choosing one can be difficult. Everyone has different needs, a different budget, and a different lifestyle. 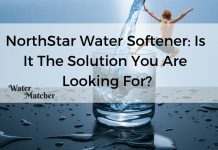 In this review, you’ll find a detailed explanation of a Kinetico water softener. Hopefully, you’ll be able to determine if the Kinetico has all the right requirements for your needs and whether it’s the perfect water softener for you. 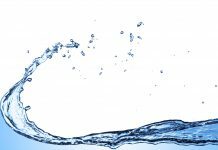 What Is a Kinetico Water Softener? As its name slyly implies, Kinetico uses a kinetic process in their water softeners in order to create soft water. This kinetic process uses the natural motion of water to harness its kinetic energy, rather than pulling in energy from an outside source. Moreover, Kinetico is infamous for being one of the leading companies to perform this feat without electricity, only using water’s natural energy to soften itself. The Kinetico also uses a twin-tank demand operated water softener, which when paired with the kinetic energy, radically transformed the water softening industry. 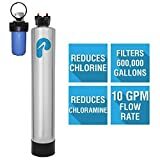 This revolutionary spirit has led to Kinetico’s popularity within the water softening field, and has resulted in an expanded product line including water filtration systems, water softeners, and reverse osmosis devices. All Kinetico water filters use on-demand regeneration to run, rather than electricity. Additionally, because they use twin tank systems, they are able to more efficiently produce soft water. Because of this, the machines are also able to handle increased levels of water hardness. Best of all, Kinetico offers long warranty periods to ensure their product works to the best of its ability. Each of Kinetico’s water softeners is able to soften water highly effectively, but by far the most popular and best-selling model is the Kinetico 2020c. 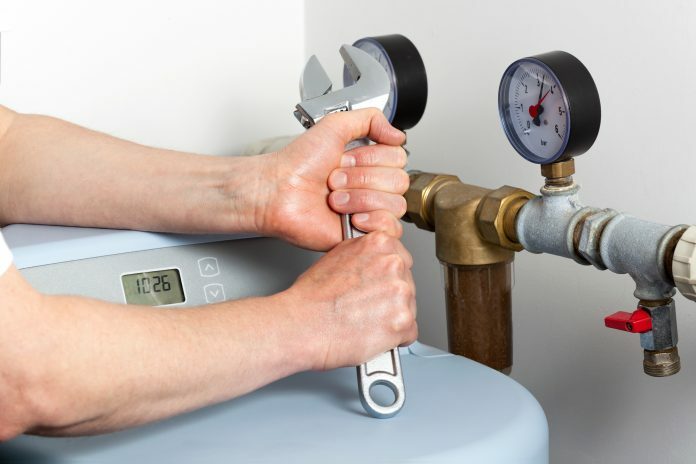 This review will detail some of the Kinetico 2020c’s specifications, including its advantages, disadvantages, price, and how it compares to other water softeners. The Kinetico 2020c is a great favorite because it has no plug in. That’s right. The entire system softens water without any electricity. Furthermore, the Kinetico water softener is extremely compact, fitting into nearly any standard kitchen cabinet. It completely lacks any buttons or timers, which means all you have to do is add salt and walk away. Plus, it can use either block salt or the regular table salt you have in your spice drawer. 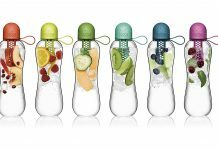 The lid is easy to open, and can be accommodated for both right- and left-handed individuals. That way, the salt loading process is easier and entails less spillage. Unfortunately, pricing is not publicly available for Kinetico’s products. This is one of the biggest customer complaints and issues with the company. Despite their absolutely stellar product, Kinetico has become infamous for not having prices listed upfront. The only way to find out pricing for a product is by contacting the company, who will then send a representative to come out to your house. There, the Kinetico rep will inspect your house and assess what your water needs are, and only then determine the appropriate Kinetico product for you and give you the price. Here are a few water softeners in a similar range and level of popularity to the Kinetico water softener. By seeing them all side by side, you may be able to get a better feeling for whether a Kinetico is the right brand of water softener for you. This Pelican system is designed to filter throughout your entire house. Although the PC600 also does not require electricity to work, it does not remove hard water buildup as the Kinetico does. Additionally, the assembly time received a low score because it requires paying for someone to install it. A 64,000-grain water softener, the 5600 SXT is an easy-to-use water softener built to last. While it’s easy to use, it can take up to an hour to install the softener. Additionally, warranty information is fairly absent from its online presence. Compared to the Kinetico, the 5600 SXT isn’t nearly as easy to install nor warranty-covered. Compared to the other two, the Kinetico water softener is like a superstar. With a powerful 10-year warranty, extreme ease of use, and top-notch build quality, the Kinetico offers a deal you can’t find anywhere else. The only downside comes with the assembly time. It’s marked down not because assembly is difficult, but because you cannot do it yourself and are required to have a company representative install it. While Kinetico water softeners are some of the best available today, there are also some negatives to consider before buying. Here’s a few pros and cons for this brand. 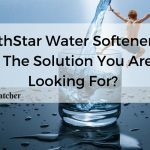 Despite the lack of upfront pricing and the high cost, nearly every reviewer and owner of a Kinetico water softener has mentioned that the machine was more than worth it, we’ve given the Kinetico water softener 4.6 out of 5 stars. Whether you’re looking for your first water softener or your eighty-first, consider the Kinetico water softener to start getting cleaner water today.